Jeff Jarvis, author, journalist, and new media visionary provided his thoughts on citizen journalism during a CNN interview (13 March 2011) following the Japan tsunami disaster. One of the most interesting ideas concerned the immediacy and presence of citizens able to record events, and distribute recorded events in near real time. Jarvis expressed the idea that we cannot wait for traditional journalists to arrive at the scene of an event, and with new devices such as cell phone cameras and the Internet any citizen can provide raw materials which journalists may then provide deeper context. 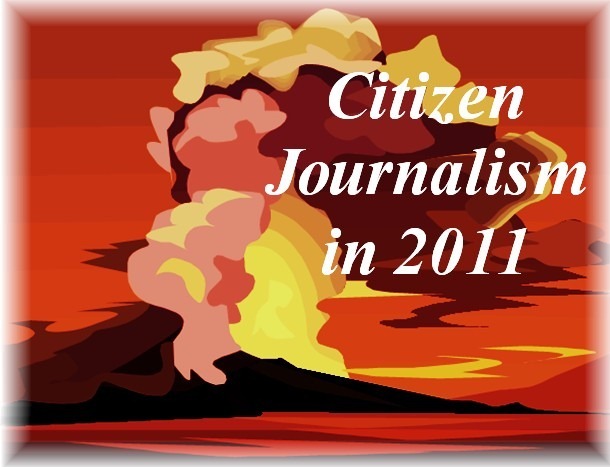 Tradition news media is still working to fully understand the deal with the idea of citizen journalism, and how to use the global pool of news recorders to not only their benefit, but also the benefit of viewers and readers. Jarvis further developed the idea of media becoming an aggregator of news recorded by amateur sources around the world. Whether it is through a CNN iReport, KTLA “My Capture/Your KTLA,” or a Fox news “U-Report,” traditional media has recognized the power of citizens, and is aggressively recruiting citizen sources to supplement their own news sources. As Jarvis mentioned, there is no way traditional media companies can provide adequate on-the-scene journalists to cover all aspects of a story or event. Thus if citizens are able to provide more raw materials, and the traditional media company can collate or aggregate those materials, while adding context or piecing individual pieces of a story together to complete a larger story. This is particularly important in rapidly developing situations, such as the Japan Tsunami, a California wildfire, or other crisis. NOTE: Nearly every news outlet supporting citizen journalism input also includes a disclaimer recommending no person put themselves into “harm’s way” to provide video or photo records of an event. As citizen journalism continues to supplement traditional media, Jarvis continued discussing the idea of news changing from a an idea of presenting “what we do know” about an event or story, to identifying “what we don’t know.” That is a difficult idea to fully comprehend. However when we are able to consider the immediacy of news sources, it is very exciting. For example, as I sit in Montreal writing a story about the earthquake in Sendai, I know that many people in Japan still have access to the Internet, have cameras, and are constantly monitoring social media applications such as Facebook and Twitter. There is a very good chance if I desire information on a specific city, or recovery event occurring within a city, there will be somebody in that location who can provide the information or photos needed to complete my story. I may never meet that source, and may only be able to send an email message in thanks (in addition to citing their contribution in the story), but the source (or sources) is now available to me within minutes from virtually anywhere in the world. In an event as large as the Sendai tsunami, even an outlet such as CNN with two or three on-the-scene reporters can only cover a small fraction of the entire magnitude of the incident. To get the full picture, having dozens or hundreds of contributing citizen journalists will not only help interested viewers around the world gain access to a more complete picture of the event, but also when necessary provide an unfiltered view of an event. The real value of video, photo, and textual records of an event may be in the raw form it is recorded. While we expect a news media source, whether a newspaper, magazine, or television news program to provide a factual report on an event, it is not a guarantee. Any person who has traveled around the world, watching news programs sourced in many different countries, it is very clear each news source has a slightly different presentation of the same event or story. If you watch CNN, BBC, Al Jazeera, CCTV (China), NHK (Japan), or France 2, or Fox News, you will definitely get 7 different representations of the same story. In this case citizens loading their raw videos or photos to a neutral archive will provide a view into an event without the fear of government spin or propaganda, nor newscasters adding their own editorial or politically motivated analysis. After spending a morning looking through the raw tsunami and earthquake video uploaded to YouTube, it is clear traditional news media and journalists could never provide the level of un-edited footage available through the Internet. We will still watch CNN (and other stations) to learn more of the big picture, but it is clear the future will have that big picture produced through the efforts of individual citizens, at a level much higher than we have been exposed to in the past. Hi John, Our team is building a news aggregator webservice for Arizona in conjunction with the Knight Foundation, local newspaper, public radio station, and county emergency management; planned release in the spring. I’d love to see more on this topic or even have a direct conversation around your insights as they might apply to our project’s product-awareness campaign.